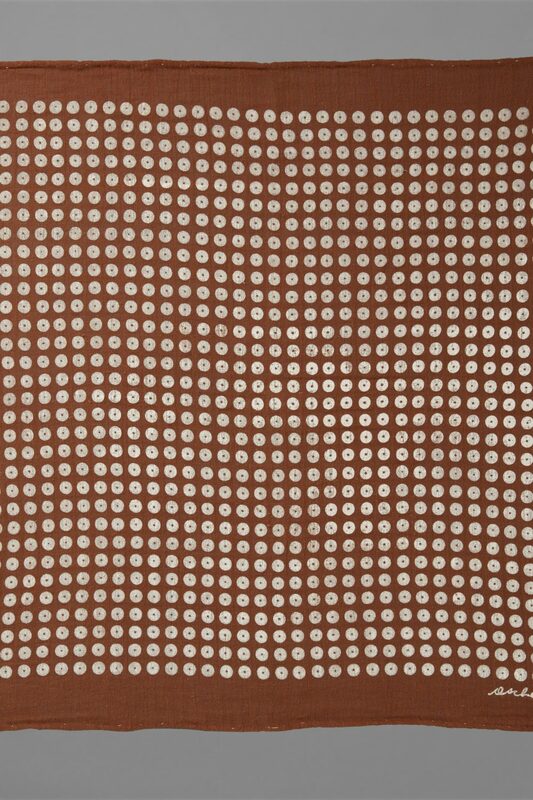 The textile firm of Ascher, founded by Czech immigrants, Zika and Lida Ascher, in 1942, was celebrated for its luxurious silks, tweeds and mohairs, and its series of large head squares, screen printed to the designs of eminent artists. 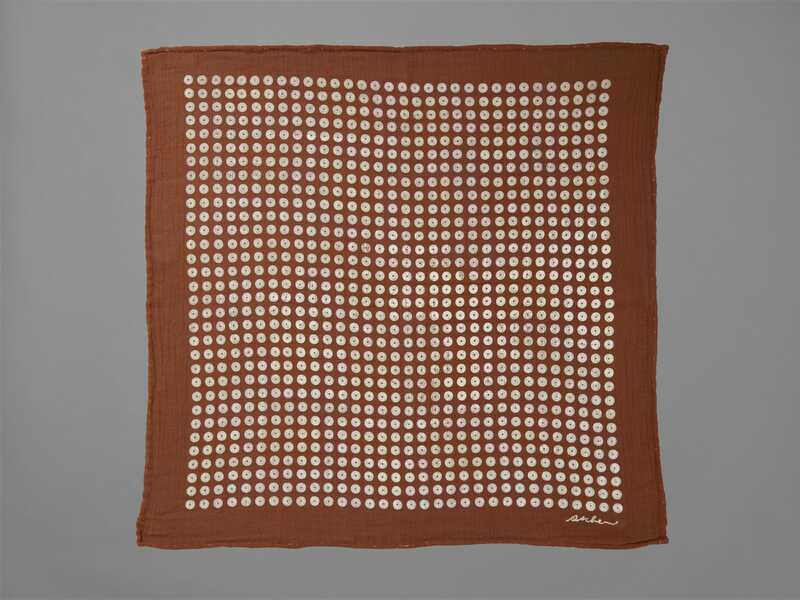 Less associated with the company are the unpretentious squares, of which this is an example, made of cotton gauze known as ‘mousse’, developed by Zika Ascher following the construction of medical fabric. Sold in many colours, they were screen printed with simple geometric patterns, and were intended to be fun, versatile and practical. The Sunday Times Magazine featured ‘mousse’ squares transformed into a bikini in its front cover of July 16th, 1972.